Michael must win back the trust of everyone he betrayed as James becomes obsessed with ending his life. 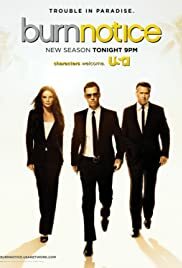 How many episodes of Burn Notice have you seen? voice on phone: [phone rings] We got a burn notice on you. You're blacklisted. Michael Westen: [voice-over] When you're burned, you've got nothing: no cash, no credit, no job history. You're stuck in whatever city they decide to dump you in. Fiona Glenanne: Shall we shoot them? 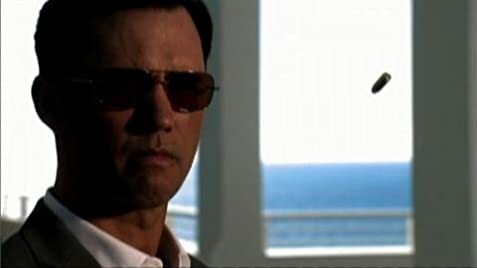 Q: What kind of sunglasses does Michael Westen wear? Q: I thought Fiona was Irish. What happened to her accent? This series is one of the best of the year. Michael Donovan is perfect as the Sparta## Ex-Spy turned good guy. I love watching him try to struggle through the emotions of his clients. His relationship with his mother is very strained however you can still see him struggle to not care about his family. Sharon Gless is fun to watch as his chain smoking meddling mother. She's hilarious. Bruce Campbell is a favorite of mine & fits in well with Anwar & Donovan. I'd like to see more from Anwar - I like the changes in accents & would like to see her do more. So far this show has been nothing but entertaining. Donovan can really keep your attention on his stories. I'm looking forward to seeing more. 65 of 85 people found this review helpful. Was this review helpful to you?